There are many miscellaneous items that are often overlooked but necessary for completing your project. Genuine SoffSeal brand items are vital for finishing your vehicle. They are simple to install and backed with a lifetime warranty against manufacturers defects. Finishing details are what makes the difference! 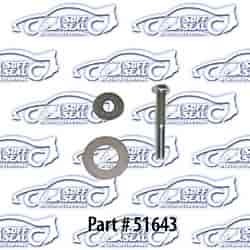 Does SoffSeal 51643 fit your vehicle?